Marky Monday sings Christmas songs at Seniors home for 'Adopt A Grandparent' - SNAPD Richmond Hill FEB 2017. THE FOLLOWING ARE MARKY MONDAY'S PRESS RELATED ARTICLES AND RELEASES FROM THE MEDIA. Marky Monday is known to fans as the new age Fred Penner, Mr. Dressup, and Mr. Rogers all combined in one. 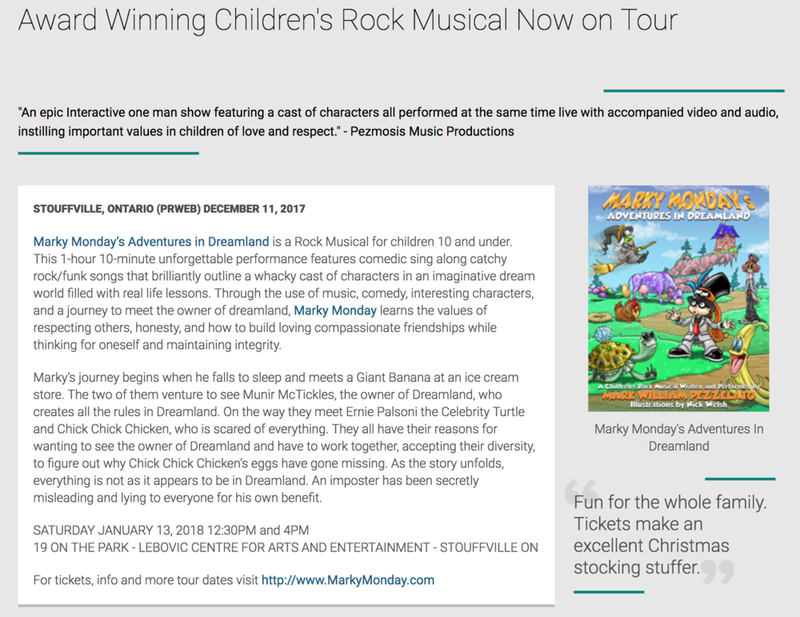 This Richmond Hill local has a unique, original, and energetic rock approach to children’s entertainment which gets kids dancing, singing, and having fun while being engaged and learning wholesome family values.